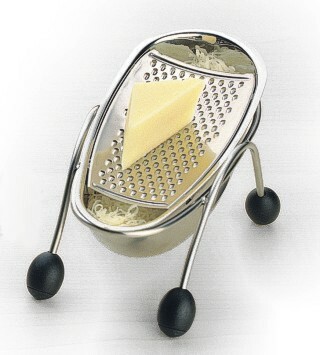 The Avanti Cheese Bug is made from high quality stainless steel and is angled to help avoid muscle and joint fatigue. The grater is just clipped into place and can be quickly removed to empty the contents of the boat. Simple and effective.